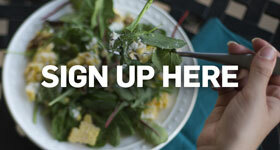 and a food blogger was working on a sweet post for you. she forgot to click "save and publish" in time. But who cares there's enough butter and sugar in them to satiate. My rhyming may be off, but you get the idea. I meant to post this sweet collection of Christmas cookie recipes on Thursday, but instead it's been sitting here just waiting to be shared with the world. So here we go! 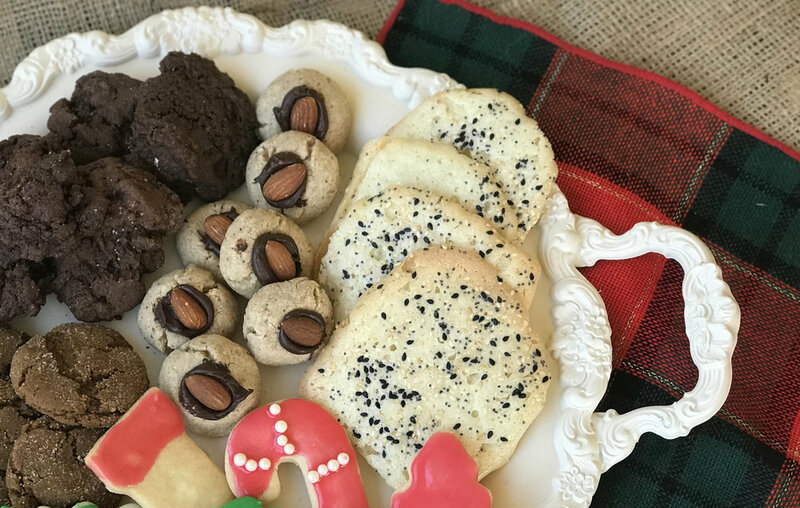 Five cookies that would make for a perfect lil platter this Christmas season. 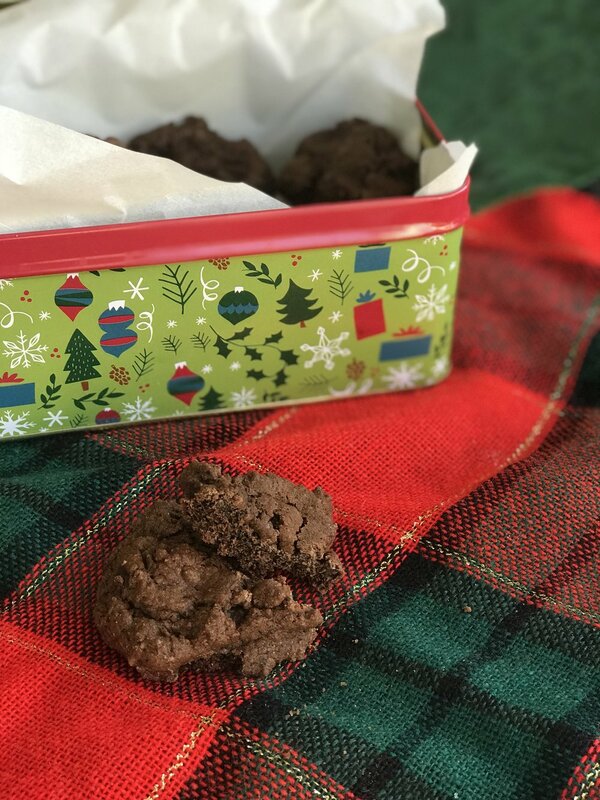 These recipes cater to my cookie platter dreams: something chocolately, something savory, something almondy, something overly festive. It gets the job done! 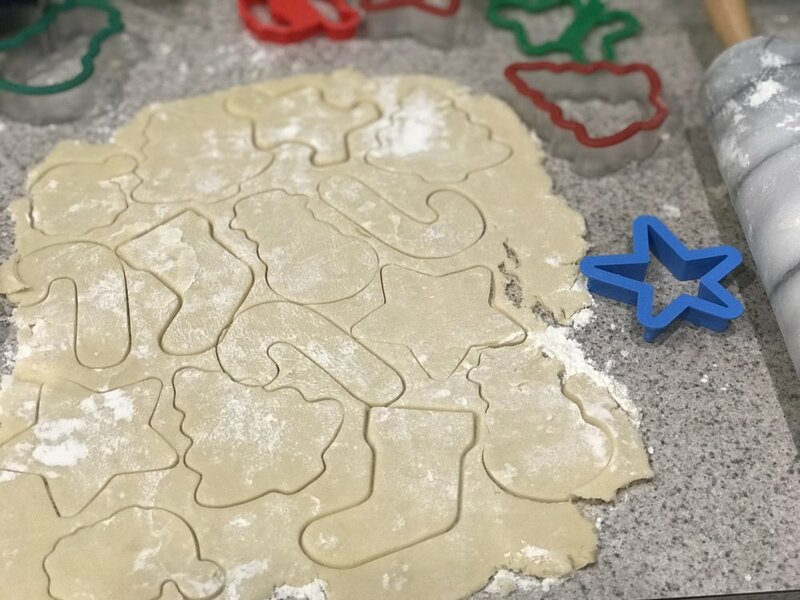 I love making Christmas cookies, and I am usually not content until I make at least four types, because I have a Type A personality. Then I look around at the 100 cookies lining my kitchen counter, realize my husband and I do not need to eat all 7 dozens of them, and wrap them up and give them out to my people. Like a cookie Santa! 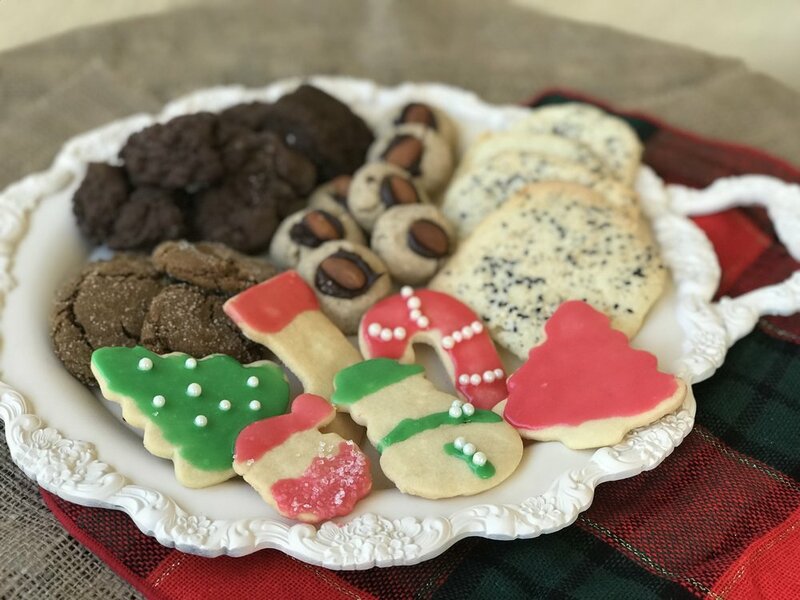 These cookies would all work beautifully piled together as a platter you can bring to the rest of your holiday festivities. OR, stack one of each on top of each other, wrap tightly in plastic wrap, tie shut with some ribbon and dole out to anyone you like. Happy baking, festive fiends. 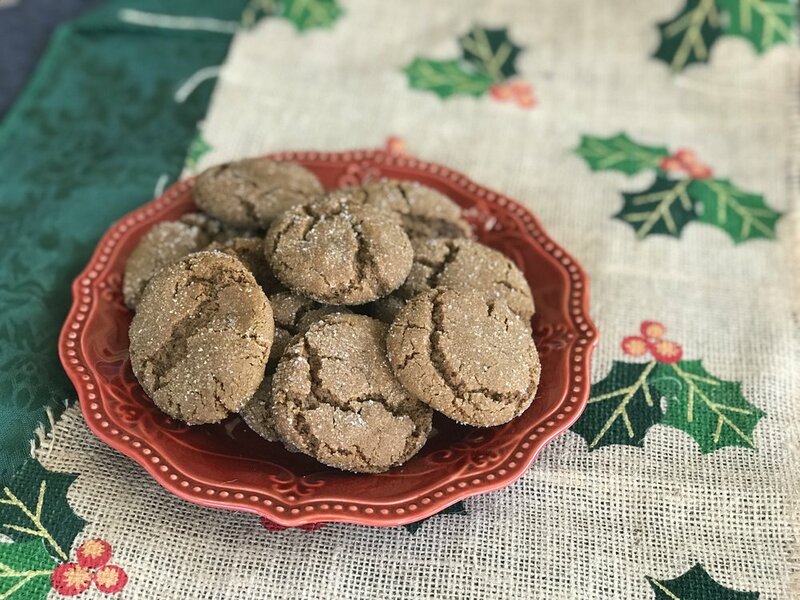 This cookie is The Balancer, bringing spice and sweetness but not too much of both to your cookie collection. They also look pretty with very, very little effort on your part. 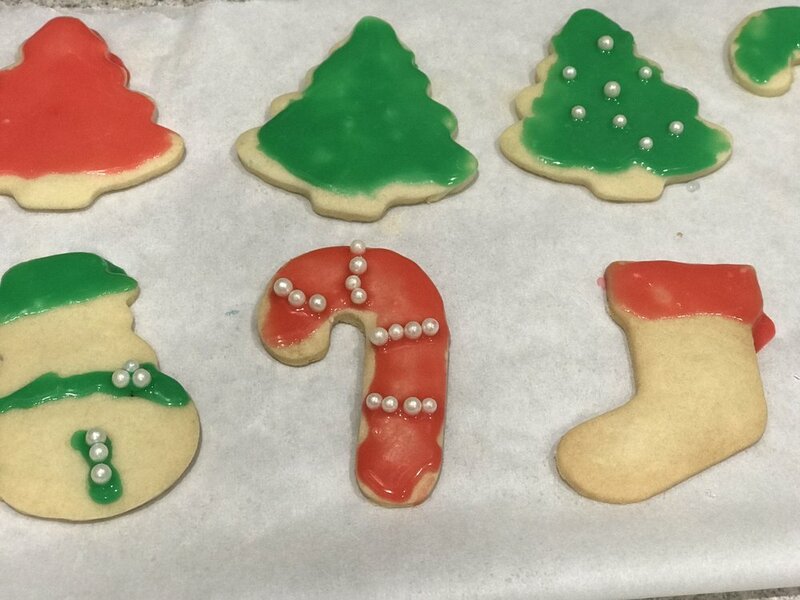 My grandma's recipe, and the cut-out-and-decorate cookies on your platter. 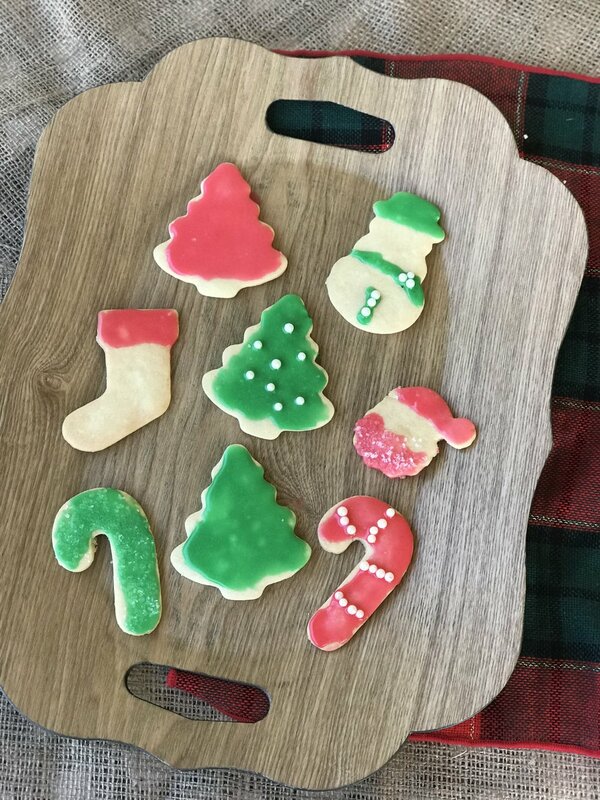 These are simple and fun sugar cookies. Admittedly, these look a little weird. Mine came out a lot larger and misshapen than the original recipe. But they taste good, and that's what matters. I really wanted a savory cookie on the spread, and these are a delight: thin, wispy, topped with seeds. A cheddar cookie would be a great addition, too, but I like how light these are compared to everything else. MY FAVORITE. I am very into almond everything - the flavor, the actual nut, ground up almonds that get mixed with flour and make up the base of this cookie. These are also nice and decorative, but it doesn't require a painstaking amount of work. Just a little dollop of chocolate and some whole almonds go a long way. These cookies have been a tradition in my house since I first started working at the Tampa Bay Times. It was in our annual Christmas Cookie issue that year, and I kept the section and reference it every year. When I checked the date today and discovered it was from 2010, I almost fainted. I shall revive myself with one of these super chocolately, coffee-flavored morsels. They are so rich and so good. Cream butter and sugars until light and fluffy. Add eggs, one at a time, mixing after each addition to make sure they are well combined. Add flour, cocoa, baking soda, salt and espresso powder. With electric mixer on slow, slowly mix together, scraping down the sides of the bowl as needed. Stir in chocolate chips. Line a baking sheet with parchment paper. Scoop about a teaspoon's worth of dough onto sheet, repeating until all the dough is used. Place balls about 2 inches apart. Bake for 12 minutes, then remove from sheet immediately and move to a cooling rack. They will harden a bit as they cool, so don't overcook. These freeze really well!